A new trailer was released today for Tom Clancy’s Ghost Recon Online, which will be coming to PC as a microtransaction supported free-to-play game this June, and to the Wii U sometime later this year. The trailer shows off some of the weapons, abilities, and upgrades for the Specialist class, and is the last in a series of trailers focusing on each of the classes specifically. The closed beta is currently ongoing for Ghost Recon Online, but you can have a peek at the game after the break if you weren’t lucky enough to get in yet. 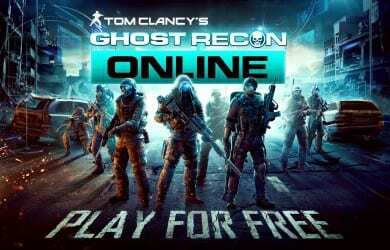 Ghost Recon Online is an attempt by Ubisoft to bring familiar Ghost Recon gameplay to a more accessible free-to-play model, and can be seen as a part of a shift that many publishers are making towards microtransaction based games. Interested gamers still have a chance to join the beta by applying at the game’s official website. While you wait to get in, check out the Ghost Recon Online Specialist Trailer below.